One of his first pupils of Quantz was maybe Frans Ernst, Count of Salm-Reifferscheid (1698-1770), who in 1731 became Bishop of Tourney. 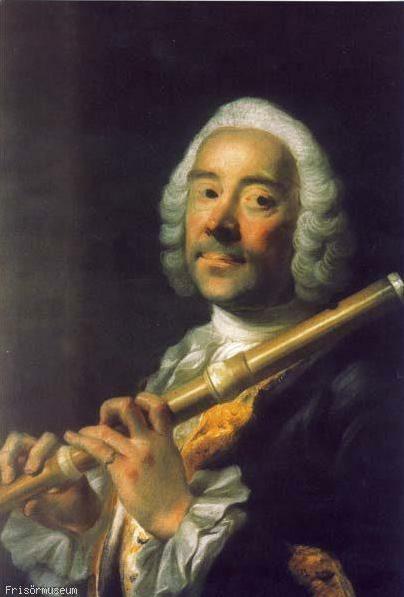 In his autobiography (Marpurg, 1754) Quantz mentioned that he gave flute lessons to Frans Ernst. Quantz had both pupils in Dresden and Berlin. Joachim von Moldenit (1708? – 1773? ), with whom Quantz in the 1750’s had a dispute about his “Versuch”, had lessons in Dresden first from Pierre-Gabriel Buffardin (c1690 – 1768) and then from Quantz (about 1730). Quantz was the flute teacher of Frederick the Great since 1733, when he still lived and worked in Dresden. Intermittently from 1733, Quantz gave also flute lessons to the Margrave of Bayreuth, who was married with Wilhelmine, Frederick the Great’s favourite sister. After his move to Berlin in 1741 Quantz declined further trips to Bayreuth. Besides Frederick the Great Quantz had other pupils as well. In his “Lebenslauf” from 1762 written in Italian, Quantz writes he also gave flute lessons to “the Margrave of Bayreuth and some princes and cavaliers”. He also had young people who were his pupil, among others Johann Joseph Friedrich Lindner (1730 – 1790) and Augustin Neuff (? – 1792). Lindner was the nephew of Johann George Pisendel (1687 – 1755), who was concert master at the famous Dresden Court Orchestra. Lindner was from 1750 to c. 1789 a royal Prussian chamber musician. Lindner is named by Friedrich Nicolay in his “Beschreibung” from 1786 as Quantz his best pupil. Neuff, who came from Graz, was also a royal musician from 1754 to his death in 1792. Another pupil is George Wilhelm Kodowski (1735 -1785?). He was born in Berlin. In the “Musikalisches Conversationslexikon” Hermann Mendel calls him the favourite pupil of Quantz. He was also member of the royal chapel from 1754. 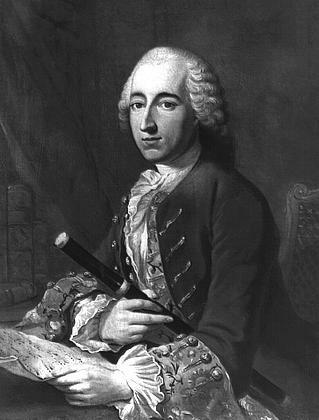 George Gotthelf Liebeskind (1732- 1800) was send by the Margrave of Bayreuth to Quantz in Berlin and had during three years flute lessons from Quantz. Frederick the Great with traverso probably made by Quantz. Possibly there are also links between Quantz and the flutist Christian Friedrich Döbbert. Döbbert came in 1736 to Bayreuth and was a member of the chapel there and gave flute lessons to the Margrave of Bayreuth. “Portrait of a flute player” from Alexander Roslin (1718 – 1793),Bayreuth, Neues Schloß. The flute player is probably Christian Friedrich Döbbert. 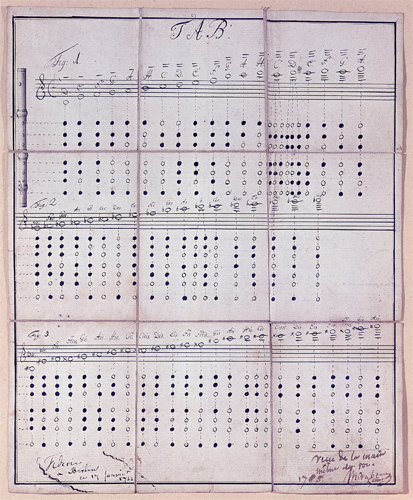 More information about the pupils of Quantz is found in the article “Quantz’ Schüler, Ein Beitrag zur Genealogie einer Flötenschüle” of Nicolas Delius. The Berlin Flute school is discussed in this article.